He accuses activists such as Sudhir Dhawale, Varavara Rao and Jignesh Mevani of spreading violent ideas and inciting Dalits to rise against the upper castes. On Thursday afternoon, as Tushar Damgude juggled interviews with half a dozen journalists, he claimed he felt trapped by his “political neutrality”. 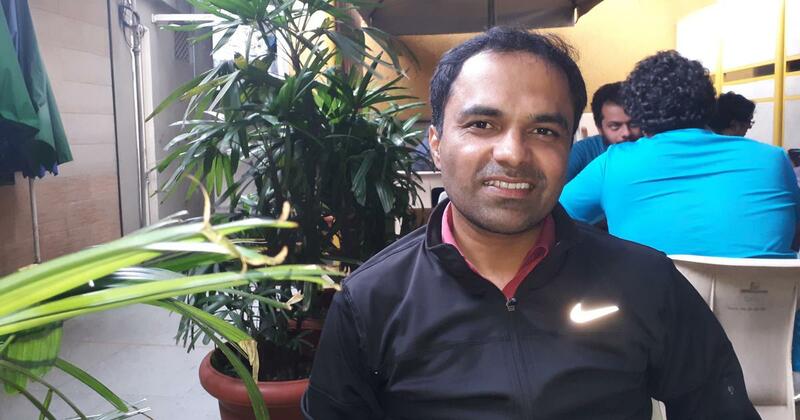 The 38-year-old businessman from Pune has been in the national limelight for the past two days, after a police complaint he filed in January led to a crackdown on human rights activists who now stand accused of being “urban Naxals waging a war against the government”. Damgude’s complaint, which the police filed as a first information report on January 8, alleged the violence that marred a Dalit commemoration at Bhima Koregaon on January 1 was instigated by leftist activists with alleged Maoist links who had spoken at a public meeting called Elgar Parishad the previous day. Acting on his complaint, the Pune police raided the homes of seven activists across the country in April. 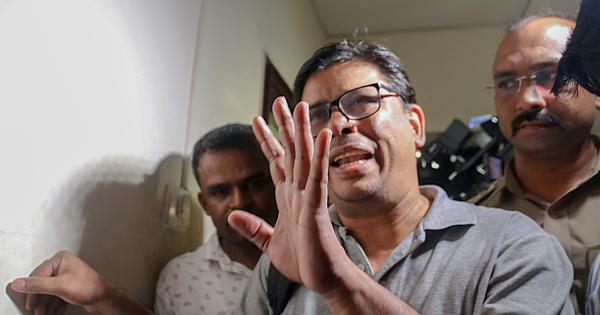 Two months later, on June 6, the police arrested five activists – Sudhir Dhawale, Surendra Gadling, Mahesh Raut, Shoma Sen and Rona Wilson – from Mumbai, Nagpur and Delhi. Labelling them “urban Maoist operatives”, the police claimed to have found evidence that they were plotting to assassinate Prime Minister Narendra Modi. On August 28, the police raided 10 more activists and arrested five of them – Arun Ferreira, Vernon Gonsalves, Gautam Navlakha, Varavara Rao and Sudha Bharadwaj. The Supreme Court stayed the arrests and ordered them placed under house arrest until September 5. The police have made sweeping allegations against the activists, describing them as “active members” of the banned Communist Party of India (Maoist) who are involved in a “top-level conspiracy” to overthrow the “sovereignty and integrity of the country” by establishing a nationwide “anti-fascist front”. The controversial arrests triggered by his complaint have invited media attention, and Damgude has spent the past two days trying to convince people that he holds “open-minded”, neutral views. For the past few months, Damgude’s Facebook page has been full of posts attacking Sudhir Dhawale, Varavara Rao and other leftist figures for allegedly glorifying Maoism, spreading violent ideas and purchasing weapons. Both in his complaint and on social media, Damgude highlights revolutionary songs, pamphlets and speeches as proof of a violent conspiracy to attack the country. August 15 is the Independence Day and January 26 marks the Republic Day, when India’s Constitution, shaped largely by Bhimrao Ambedkar, came into effect. Damgude’s Facebook page has a picture of him with Sambhaji Bhide, a Hindutva leader accused of inciting violence against the Dalits at Bhima Koregaon. Fellow Hindutva leader Milind Ekbote is also an accused in the matter, but neither have been arrested yet despite a Supreme Court order.